Every day we wake up excited by the challenges and prospects of our outstanding business development. These include the technical integration of our partner solarisBank for the launch in Austria, the development of further exciting functions in the Cringle app and preparations of new partnerships. Whatever our task for the day, we will complete it with enthusiasm, perseverance and passion. However, at some point you have to realize that you do not have enough team members to complete all items on the to-do-list. The team needs to expand in order to sustain the positive growth course. As we at Cringle have already received a lot of valuable support, we have decided to once again contact you with this matter. Today, we would like to present all positions that we are looking to fill in the near future. You might know someone who is interested in working on the future of mobile payment transactions in Berlin. Click here to access the complete Android Developer job advertisement. Click here to access the complete Senior iOS Developer job advertisement. Click here to access the complete Senior Full Stack Developer job advertisement. Click here to access the complete Student Developer job advertisement. Click here to access the complete Student Marketing Manager job advertisement. Click here to access the complete Business Development Manager job advertisement. Please share these job advertisements in your networks. You would be doing us a huge favor! All applications can be sent to jobs@cringle.net. 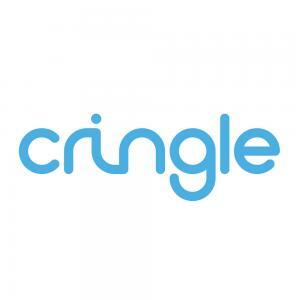 Finally, we want to reiterate that you should all be diligently using Cringle. Stop lending money to friends who don't use Cringle. Keep borrowing cash from friends and only repaying them with Cringle. If everyone establishes Cringle in their circle of friends and family, we will be one step closer to achieving our goal!